Judy Brewer was recently named as the recipient of the 2018 SIGACCESS Award for Outstanding Contributions to Computing and Accessibility. Brewer is the director of the Web Accessibility Initiative (WAI) at the W3C and principal research scientist at MIT’s Computer Science and Artificial Intelligence Lab. Over the last 21 years, Brewer has led WAI in developing key accessibility standards such as the Web Content Accessibility Guidelines, the Authoring Tool Accessibility Guidelines, User Agent Accessibility Guidelines, and Accessible Rich Internet Applications. The Web Content Accessibility Guidelines have influenced accessibility policy around the world and helped create more accessible websites for millions of users with disabilities, SIGACCESS explained. “Judy has helped drive accessibility standardization for W3C internationally, promoting awareness and implementation of Web accessibility, and promoting effective dialog among industry, the disability community, accessibility researchers, and governments on the development of consensus-based accessibility solutions. 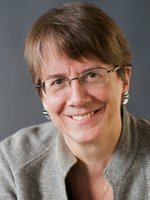 Judy Brewer’s leadership, coordination and advocacy in the development of accessible computing has been vital,” the SIGACCESS Chair wrote in a post.